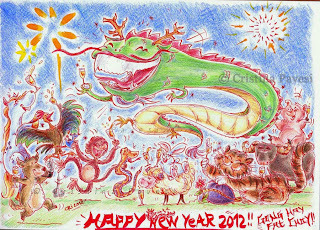 Kanonenfrau: 2012: NOW is the year of the Dragon!! 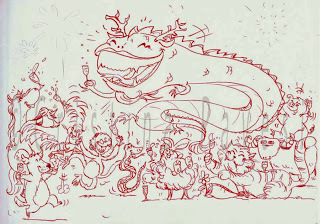 Gong Hay Fat Choi! 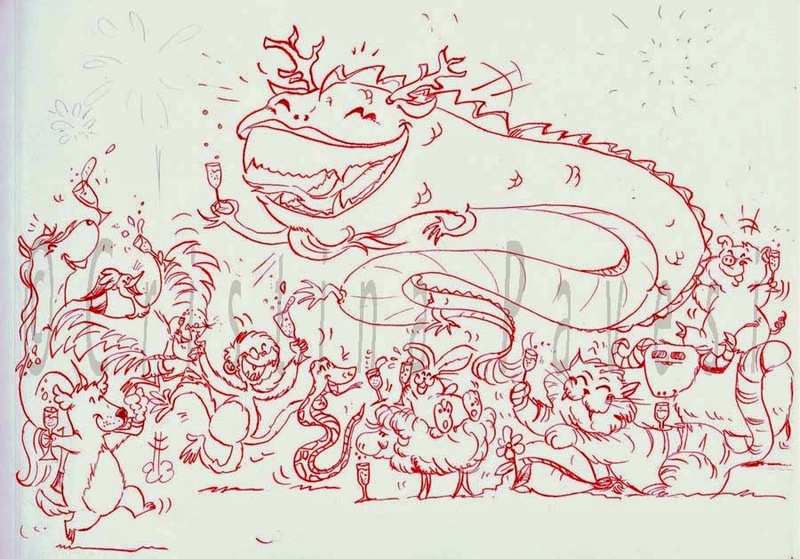 Happy new Chinese year! 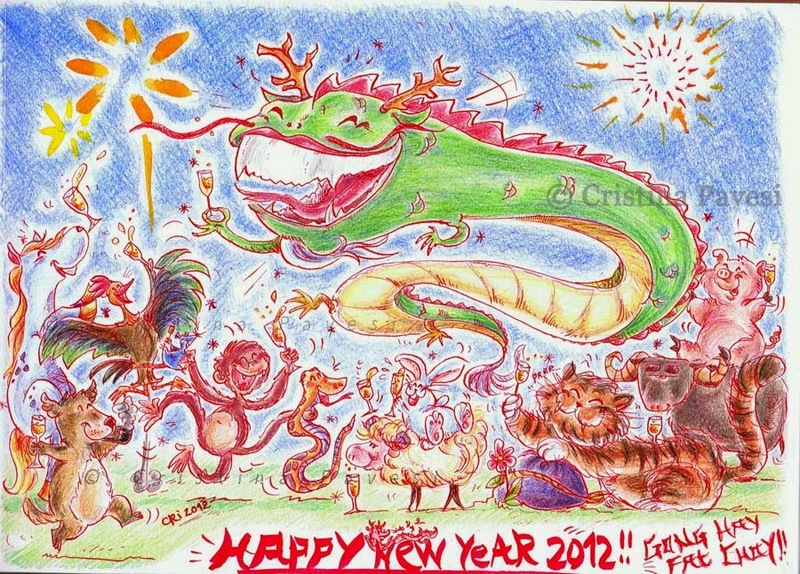 On the 23rd of January 2012 begins the year of the dragon and is going to be a great year, full of energy! 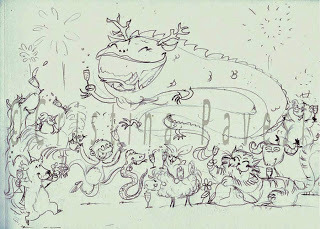 I celebrate it with this illustration dedicated to the dragon and the other Chinese-Horoscope animals. 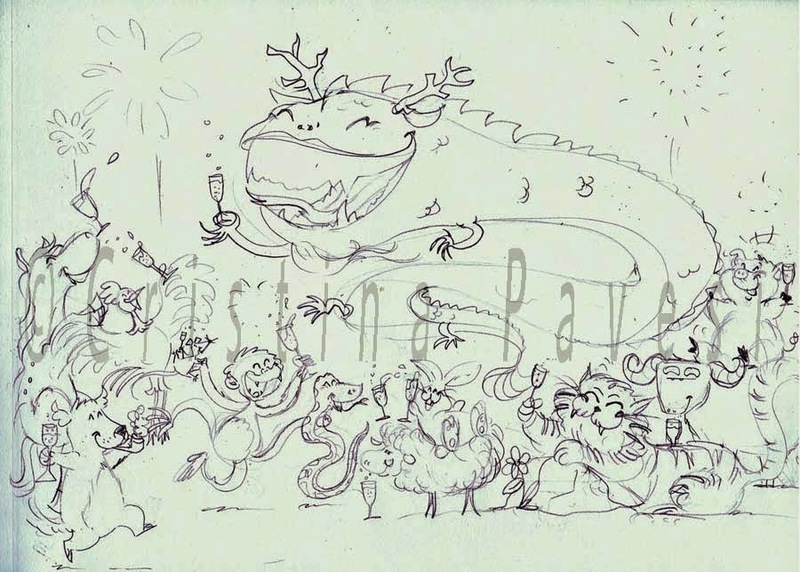 Click on the pictures to enlarge them and look for your animal!